Almost 200 years before the World Wide Web was invented the novelist and poet, Sir Walter Scott wrote “Oh what a tangled web we weave, when first we practice to deceive” in his poem, Marmion. Essentially, it means that if we lie we make life more complicated for ourselves. Truthfulness is the easiest way to live, according to Sir Walter. His words could well have been written for the modern web instead of the 16th Century battle it was actually about. The problem is we are faced with a plethora of deception online. Surely you have noticed those adverts promising to make you a millionaire by the end of the month? Or what about those advertisements claiming to get you to the top of Google before the week is out? And that’s to say nothing of all the online advertising which promises to enhance those more personal parts of your anatomy..! 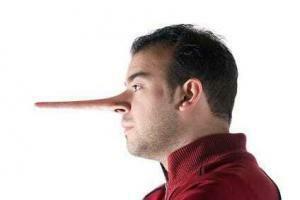 Wherever you look online, advertisers appear to want to be first in the queue to lie to you. Deception in online advertising is rife. Of course, it does tangle up the advertisers themselves. Some have appeared in court and been fined for making false claims. Others have to hide behind a complex system of masking their true identity for fear of being found out. And a few have even landed themselves in prison. The modern web deceivers are certainly tangled by their falsehoods. But here’s the problem. New research shows we are highly attracted to adverts which lie. We can spot advertising deceptions a mile off, it seems, but those adverts get the most attention from us. In other words the online charlatans and hood-winkers get more than their fair share of people responding to their adverts. It seems our brains are finely tuned to adverts that deceive. The reason is, rather like threats to our survival, our brains are finely tuned to spot things in our environment which could be wrong or harmful to us. So the people who produce those amazing Internet Marketing claims that we’ll all own a Ferrari by Friday lie to us simply to get our attention. And, boy, do they get it..! However, here’s their problem. These deceptive adverts do grab our attention – but we dismiss them almost immediately because we instinctively know we are being lied to. As a result the liars have to deceive us even more in order to gain our attention in future. So, as Sir Walter Scott says, they are indeed creating a tangled web for themselves. But the study revealed something more interesting. Adverts which were not blatant fabrications, but which had mild deceptions in them, were the ones we paid a lot of attention to AND a lot of thinking time on. Indeed, we tend to spend more time on these adverts than on truthful ones. It appears that with the “little white lie” kind of advertising we are trying to work out whether the fib is OK and whether the promised claims are worthy of the lie. In other words, when you are not completely honest in your advertising you get more mental engagement from your potential customers. This would all be a real worry if it were not for the fact that honest adverts get a mental “pass card” from us. We don’t pay much attention to them, nor have to think about them for very long because we instinctively know they are right. In other words, if you really want your online advertising to work, take heed of Sir Walter Scott’s words – as well as those of the 16th Century British Politician, Sir Edwin Sandys, who first said: “Honesty is the best policy”.